Elmont is a hamlet and and census-designated place in the Town of Hempstead in Nassau County, New York. The community is served by the nationally awarded Elmont Union Free School District. Originally called Foster’s Meadow, after brothers Thomas and Christopher Foster who bought land from the Dutch to raise cattle and sheep in 1650, English settlers did not arrive in the area until 1664. At that time, the community shifted to become predominantly English Protestant in population. In the mid-19th Century the community experience a new wave of settlers, primarily people of German descent moving east from Brooklyn. Foster’s Meadow was renamed Elmont in 1882 during a phase of political restructuring of smaller neighborhoods. The community was originally part of Queens County until the new and current border was drawn in 1898. Belmont Racetrack was built in 1905, and is credited with attracting new businesses into the area just after the turn of the century. 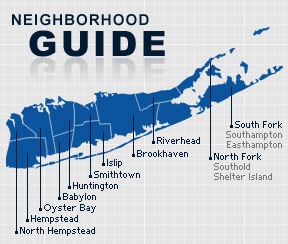 According to the 2010 census, the population of Elmont is 41,356. The median household income is listed as $79,912.